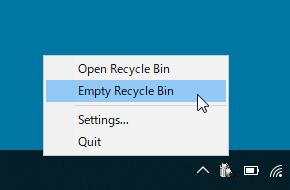 Prompt before emptying the Recycle Bin. 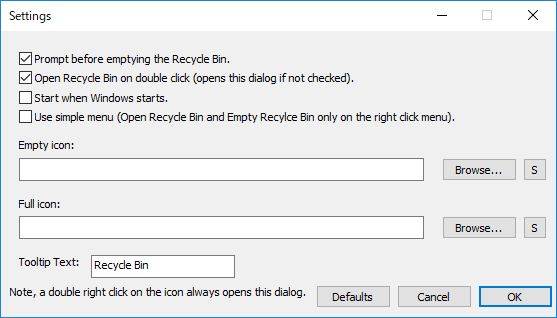 Open Recycle Bin on double click (opens this dialog if not checked). 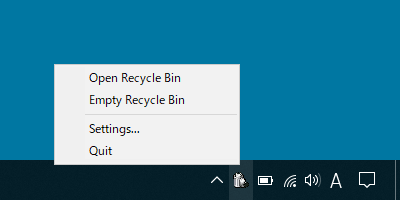 Use simple menu (Open Recycle Bin and Empty Recycle Bin only on the right click menu). Copyright (C) 2011 - 2019 フリーソフトラボ.com All Rights Reserved.